A vegetable garden is the ultimate in practical landscaping, and a thriving veggie patch can not only be a bountiful supplement to a grocery budget, but also an enjoyable hobby and great exercise as you sow seeds, nurture plants and take up your delicious harvest. One thing a vegetable garden does not need to be, however, is drab, and there are many fun ways to gussy up the veggie garden to show off your personal flair and gardening charisma. 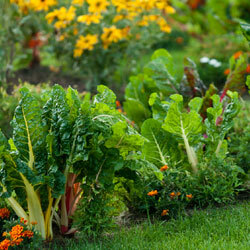 Why Beautify a Vegetable Patch? As more gardeners expand their cultivated plots into side yards and even front yards, keeping a vegetable garden attractive is essential. Not only can a lovely vegetable garden be attractive to the neighborhood, but it increases curb appeal for your home, raises awareness about the beauty of vegetables and allows you to take just as much pride in your garden’s appearance as you do in your harvest. Adding more personality to your vegetable garden is also a fun way to discover more gardening techniques and show off your more colorful side. There are many different ways you can give your garden a more colorful personality, and we have everything you need to do so. 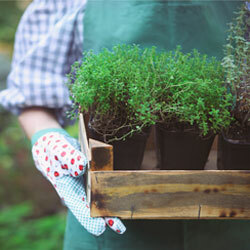 While you may not want to use every technique in your garden depending on the veggies you grow and the space you have available, trying just one or two fun tactics can give your garden a great makeover. Instead of planting vegetables in straight rows, embrace the twists, turns and curves of your landscape with a curvy garden. You can create a pattern of colors and shapes, or use different edging options to delineate the sections of your garden in more visible ways. You don’t have to use plain dirt paths in your garden when there are colorful mulches, unique stepping stones and other options to create more interesting pathways. Try river rocks, multi-colored gravel, crushed shells, bricks or other options to define paths more beautifully. Define your garden’s edge with a beautiful border. Decorative fences can be quaint, or you can plant flowers all around the garden for extra color. Use deer- and rabbit-resistant flowers such as poppies, marigolds, zinnia and verbena to help protect your garden at the same time. 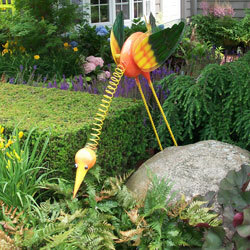 Add more color to your garden with whimsical touches such as colorful tomato cages or painted support stakes. You can also add a brilliant gazing ball, a fun seasonal decorative flag or other colorful accents to add instant vibrancy to your veggie garden. An arbor or pergola can be an amazing architectural accent in your garden. This structure can be functional as well when it provides a bit of protection for shade-loving veggies or includes a bench with hidden storage for your favorite garden tools, hoses or other equipment. Go up, up, up with your veggie garden space when you embrace vertical gardening. You can hang baskets from an arbor, trellis or poles, or create a green wall or other vertical gardening space that climbing plants will love, and you’ll see your harvest multiply. 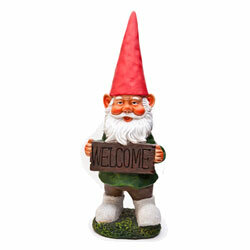 Your vegetable garden doesn’t need to be nothing but growing space, and you can add a whimsical garden gnome, fairy garden setup or other secret space to the garden. You might even include a small bench or meditation fountain for extra enjoyment. Bring helpful visitors to your veggie garden when you add a bee house, butterfly feeder, hummingbird feeder or bird bath to the garden. These helpful pollinators will appreciate the assistance and will repay your generosity as they increase the yield of all your veggies. The seedlings you add to your veggie patch can go a long way toward beautification when you choose plants with colorful foliage or unique produce. This also gives you a chance to experiment with new plants, and you might discover a new favorite vegetable along the way. Quickly add color and texture to your vegetable garden when you fill in short rows and corners with extra flowers. This is a great way to expand your garden and avoid thin or bare patches that detract from your garden’s beauty. Marking plant rows and types keeps your garden organized, and you can do it with flair when you choose colorful or whimsical plant markers. 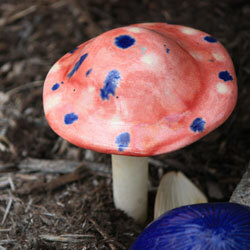 Painted rocks, fun signs, cheerful flags and other options can denote your plants while adding beauty to your garden. A bright pot or planter box can be an attractive addition to your veggie patch, and will add extra color as well. This is a great way to add herbs, mints, berries or other fun plants to your garden. Elevate smaller pots with plant stands or pot feet to give more dimension to the garden. With so many fun options to gussy up your veggie garden, your gardening patch can be just as beautiful as any carefully cultivated flowerbed or meticulously groomed lawn – and more delicious!